By supporting the gala, you are supporting programs, scholarships, renovations and everything in between that is happening on campus. 2. Cocktails, dinner and dancing, need we say more? After you have enjoyed the signature cocktail and a delicious meal, a stellar classic rock cover band will get you up on your feet to a night of movin’ and groovin’! 3. Win beautiful benefit “raffle” baskets! With over 20 fully stocked raffle baskets, having a variety of themes such as “A Taste of Italy”, “Summertime”, “Lucky Lottos” and more – there will be something that everyone wants to take their chances on! 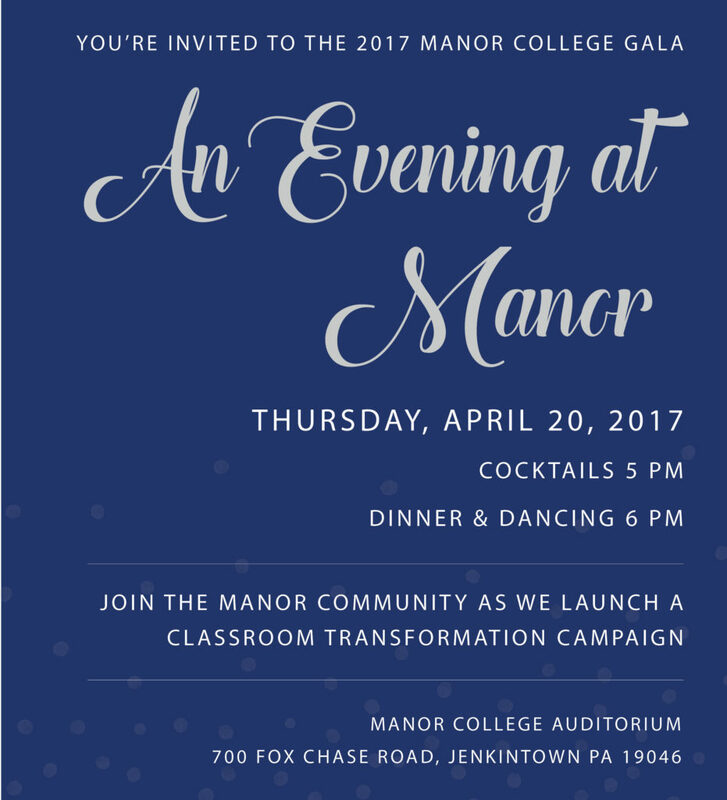 Buy your tickets for An Evening at Manor here or email development@manor.edu for more information.